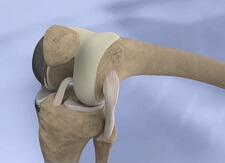 "Chronic Pain After Knee Replacement"
My mom had a PKR (partial knee replacement) in April. She has done all the exercises and followed doctor’s orders. She had nothing but pain, cannot move her leg, so on and so forth. Just in June she had a knee manipulation, and her knee is worse, it’s like she is carrying dead weight behind her! She is in constant pain, even though she had done all the exercise, rehab, etc! Please if you could help it would be so greatly appreciated! I'm really sorry to hear your mum has had so much trouble. Whilst some people do have problems after a partial knee replacement, what you are describing is unusual, especially seeing as she's been diligent with the aftercare and rehab. I would suggest that you get a second opinion from a different orthopedic surgeon and see what they recommend. Whilst I would hope further knee surgery or manipulation wouldn't be necessary, there is the chance it may need to be converted to a total knee replacement.